In a world full of uncertainties, businesses are struggling to minimize the side effects of “unforeseen events” on their assets, revenues and other resources. Upheaval in the financial markets, project failures, legal liabilities, credit risk, accidents, natural causes and disasters are only a few of such events to name. We advise our customers on how to successfully apply methodologies, techniques and standards to effectively minimize, monitor, and control the fequency of occurence as well as the impact to their brand image & reputation, assets, revenues and resources when such events occur. It is our belief that Risk Management application should create value for our clients by openly addressing uncertainties and should be done in a tailor-made approach to match the individual characteristics of each business. During the entire process, we rely on the best available information and we apply a systematic and structured approach to address issues and risks met. Depending on the specific business environment and needs of each client, we perform a qualitative and quantitative analysis of the risks identified on the basis of the anticipated likelihood and impact in order to select the appropriate RM strategy to lever risk. Moreover, the organization should innovate and adapt its risk management practices to reflect its size and the extent of its operations & services and remain competitive in a changing environment, so that it can respond to and exploit new opportunities. In-Depth, which is used before any project is implemented or system installed or process activated, when there is plenty of time to plan and prepare and may include training, drafting instructions and requirements etc. Time Critical, which is during operations or exercises. Tools applicable in this situation may include execution check-lists, incident management and change management. It also requires a high degree of situational awareness. We advise our clients to consider Risk Management in each and every Decision Making process or in other words, make Risk Management an integral part of the organizational processes. 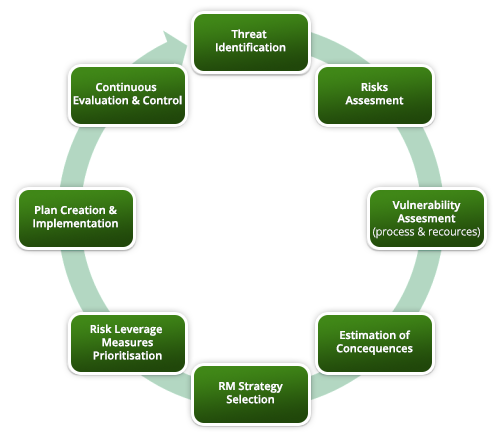 Risk Management processes should therefore be clear and comprehensive, dynamic and open to change and subject to continuous upgrading and enhancement. 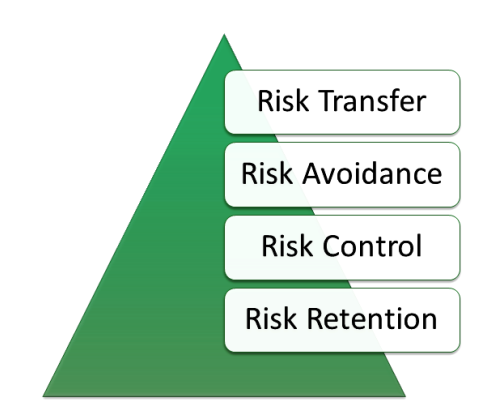 Risk Management is applicable in all levels of an organization from a Unit or Division to an Entity level and can focus in different functions and type of assets and resources like Information Systems; Operations; Human Resources etc.